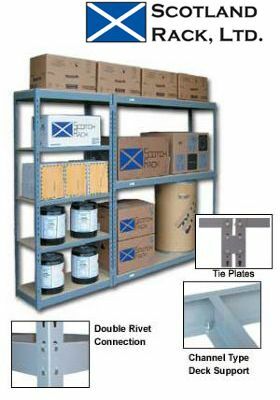 Heavy Duty Industrial Shelving available from Nationwide Shelving in Boise for Industrial Storage Applications can save you time and space. Heavy Duty has a wide variety of meaning to different customers. 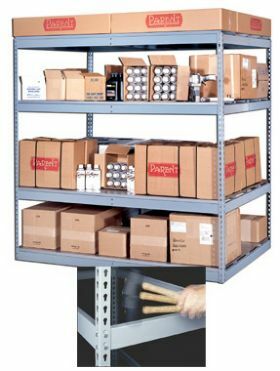 A person looking for heavy duty industrial shelving for an office storage application may require a product with much less durability and load capacity than perhaps a steel distributor. Someone may envision a simple rivet shelving to pallet rack. NationWide shelving and Automated storage can deliver whatever you need. Just give us for more information. We have what you need. Our business is to meet your goals, and deliver a system to compliment them. Beaded Post, L post, single rivet, double rivet, pallet rack, rivet shelving, and Heavy Duty Z-Line Shelving. Interlake Pallet Rack, Erectomatic, H-Post, Wide Span System, RivetRite, Clipper, Big Dog, Penco, Scotland Rack Company, Western Pacific, Mecalux, and other brands make one full line! We offer most brands. if you require a certain brand please phone us and let us know. We will often have a relationship with that vendor. With decades of hands on design, installation, and manufacturing experience, no other shelving company has the expertise to match that of NationWide Shelving. 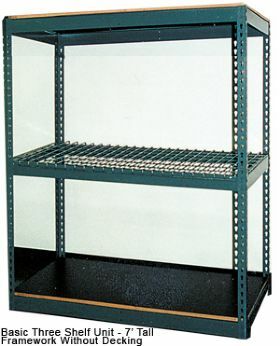 We have installed thousands of sections of Heavy Duty Industrial Shelving in Boise. We understand the storage challenges you face, and have designers ready to create innovative solutions.